New York City Football Club got two goals from David Villa, including the the 400th of his illustrious career, on their way to a 3-1 win over FC Dallas on Sunday night at Yankee Stadium. 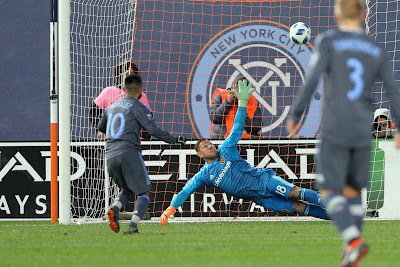 It took just three minutes for NYCFC to get on the board, as Jesus Medina swooped in to drive home a rebound off a shot from Anton Timmerholm that rang off the right post to make it 1-0. 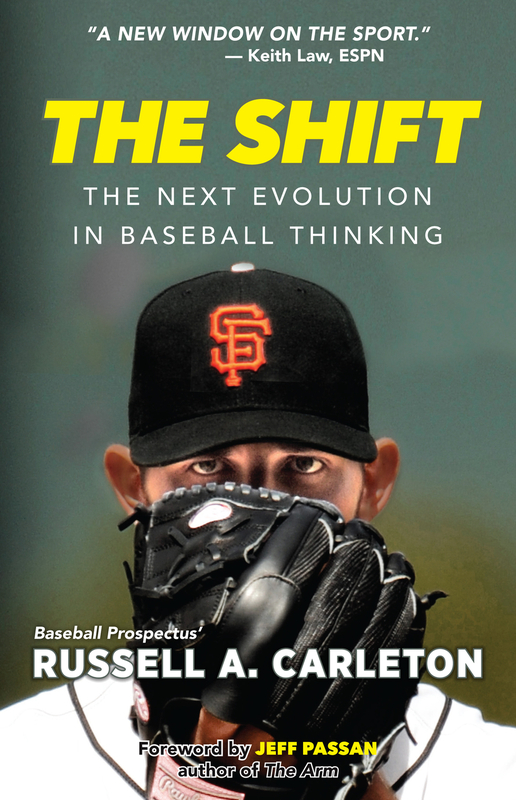 Books: Carleton Looks At New Baseball Strategies, Including "The Shift"
The Red Bulls got a late penalty kick goal from Kaku to earn a 3-2 win over the Galaxy in Los Angeles. 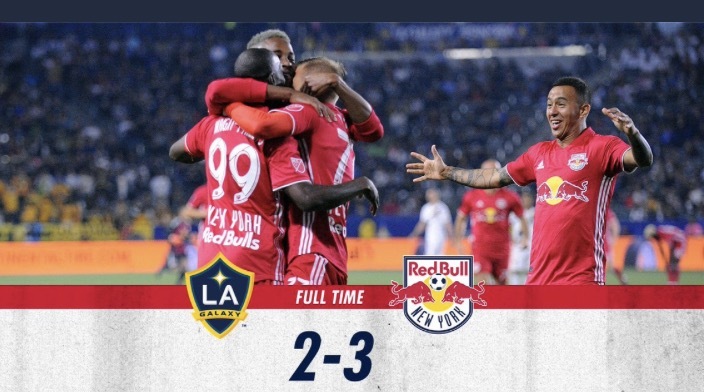 The Red Bulls improve to 4-3-0, with 12 points, in sixth place in the Eastern Conference, just two points out of third place. The LA Galaxy dropped to 3-4-1, 10 points, and they are in fifth in the West. Meg Little Reilly has followed up her debut novel, the acclaimed We Are Unprepared, with an electrifying new psychological drama, Everything That Follows. This gripping nail-biter provides an immersive plunge into the darkness beneath the veneer of civilized society when a drunken evening derails and thrusts its participants into a moral and ethical morass. Sean Davis. Courtesy Red Bulls. The Red Bulls have signed two of their key midfielders, Sean Davis and Daniel Royer to new MLS contracts over the past couple of days. 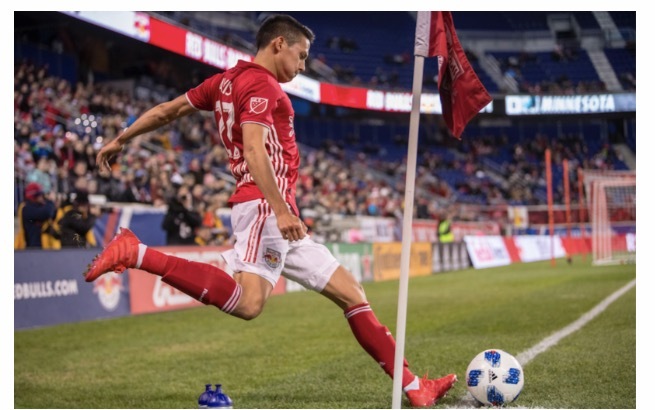 Davis, 25, has been a key part of the Red Bulls since his Homegrown deal began in 2015. The Holmdel, New Jersey, native has appeared in 89 matches and started 59 across all competitions. Davis has seen action in all four major competitions, recording six goals and 11 assists. He had his best statistical season last year, starting in 21 of 27 matches with two goals and four assists. Pete Hamill is one of the greatest authors to call Brooklyn home, born in the borough in 1935 and he recently has moved back. Hamill is the author of many best-selling books, including the novels Forever and Snow in August, as well as the memoir A Drinking Life. 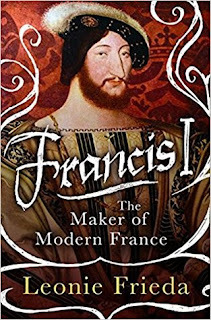 His writing in the New York Post, Daily News, and New York magazine has brough the city to life for millions of readers. 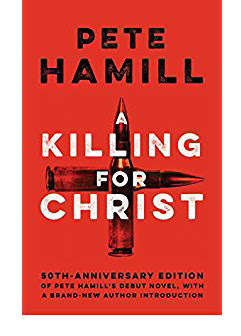 There is a new fiftieth-anniversary edition of his debut novel, A Killing for Christ, a thriller centered in Rome, available now. 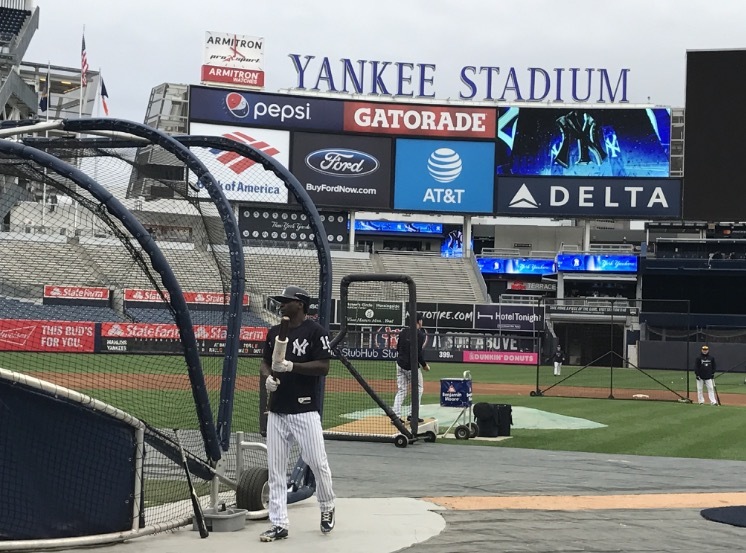 Didi Gregorius getting ready to take some swings in the batting cage. Photo by Jason Schott. 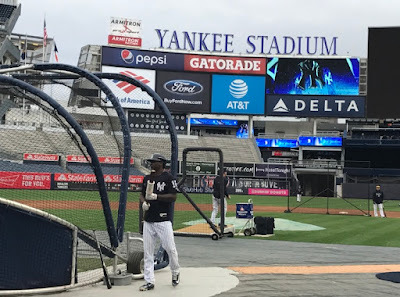 When Didi Gregorius came to the Yankees in 2015, he faced the monumental task of replacing Derek Jeter, perhaps the best shortstop in their illustrious history. 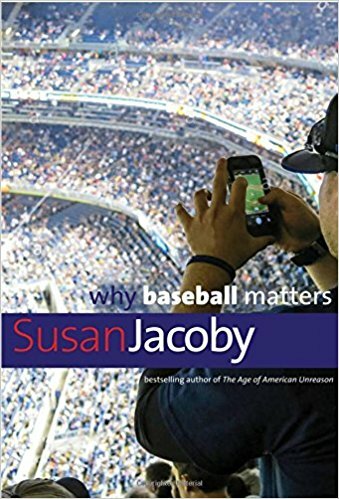 Three years later, Gregorius is off to a historic start that has him as an early favorite to achieve something Jeter never did: win Most Valuable Player. Mickey Mantle is one of the greatest New York Yankees in history, and an American icon in the 1950s. Mantle's power, speed, and agility made it seem like there were no limits to what he could do on the diamond. 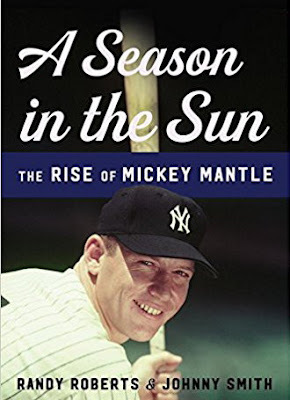 In their new biography of Mantle, A Season In The Sun, acclaimed historians Randy Roberts and Johnny Smith argue that to fully understand Mantle, it is necessary to look at his life as he lived it, not as a study in retrospection focusing on his flaws. 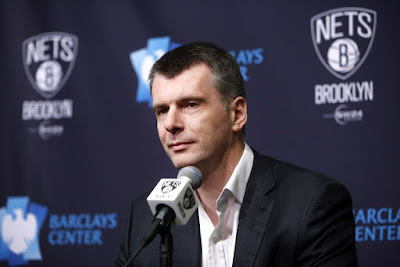 The Nets announced that they have Pablo Prigioni as an assistant coach on Kenny Atkinson’s staff, as well as Tiago Splitter to the position of pro scout, with added duties related to player on-court development. Prigioni joins the Nets following a professional playing career which spanned 20-plus years in Argentina, Spain and the NBA. 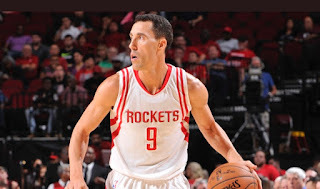 A native of Argentina, Prigioni spent the majority of his career playing in Spain, where he led Baskonia to three Spanish King’s Cup titles, four Spanish Supercup titles and a Spanish League championship. 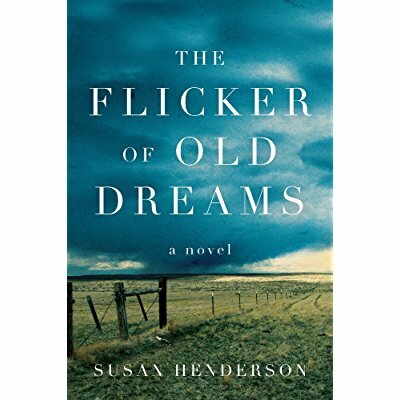 Susan Henderson, the author of the critically acclaimed debut Up from the Blue, is a novel about a young woman who comes most alive while working in her father's mortuary in a small, forgotten Midwestern town. Mary Crampton has spent all of her thirty years in Petroleum, a small Western town supported by a powerful grain company. 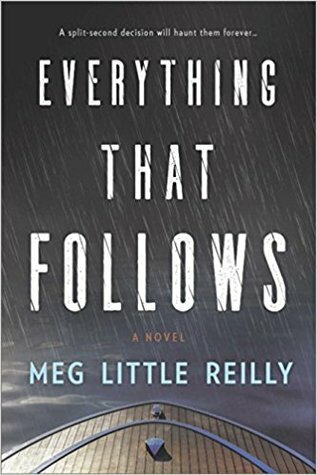 Living at home, she works as an embalmer in her father's mortuary: an unlikely job that has long marked her as an outsider. Yet, to Mary there is a satisfying art to positioning and styling each body to capture the essence of a subject's life. YouTube has probably been the media company that has changed the world more than any other, yet little is known about it. 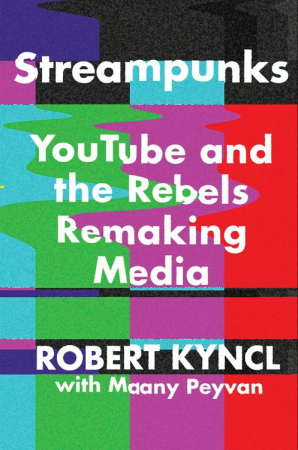 Over 1.5 billion people log in to YouTube every single month to watch viral videos, late-night TV clips, news broadcasts, sports highlights, music videos, on how-to tutorial on nearly every subject, generating billions of views. 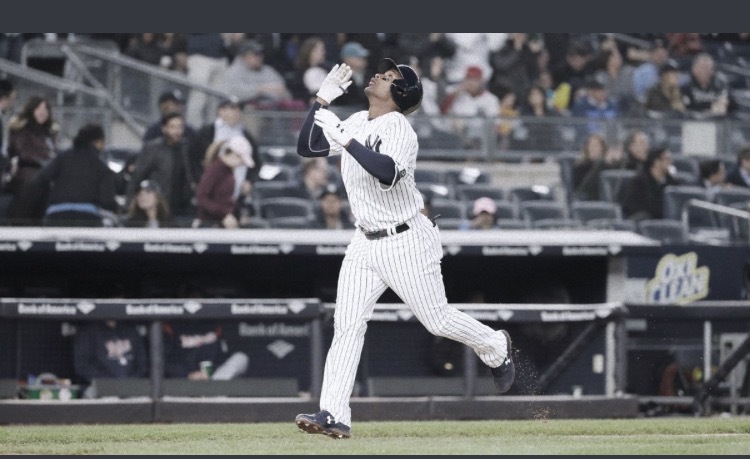 Miguel Andujar rounding the bases on his home run Monday night. @Yankees. Nothing gets the Yankees' offense going like a visit from the Minnesota Twins. That was especially true on Monday night at Yankee Stadium, as the Yankees rolled to a 14-1 victory over a team they always seem to have their way with. The Yankees have now won three straight, and five of seven overall, on this homestand. St. John’s guards Shamorie Ponds and Justin Simon have been homored by the Metropolitan Basketball Writers Association for their superb play during the 2017-18 campaign, which included wins over Duke and eventual national champion Villanova. 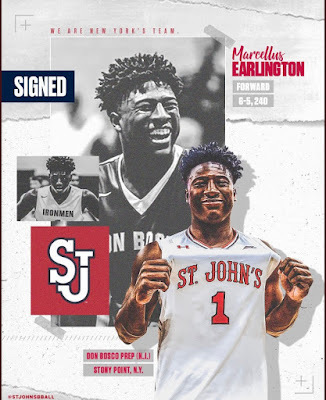 Ponds was named to the All-Met First Team for the second straight season, and Simon was named to the All-Met Second Team after his first season. 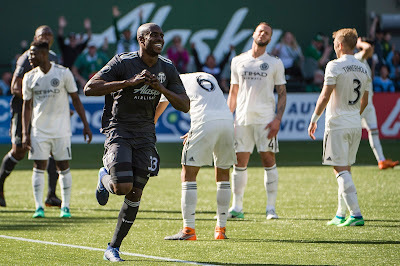 Portland's Larrys Mabiala after his goal on Sunday. USA Today Sports. New York City Football Club suffered its first loss of the season as they were shutout, 3-0, by the Portland Timbers on the road on Sunday night. NYCFC, in first in the Eastern Conference, as they are now 5-2-1, with 17 points, one ahead of Atlanta (5-1-1, 16 points). Portland improved to 2-2-3, eight points, and they are in ninth place in the Western Conference. 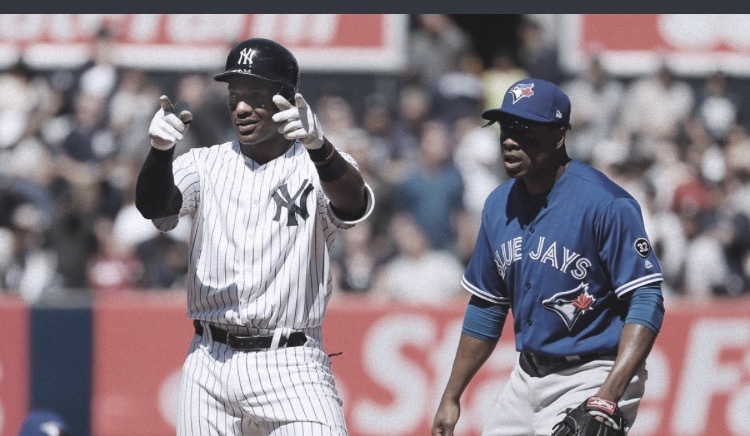 Miguel Andujar after hitting a double on Sunday afternoon. @Yankees. The Yankees had a solid 5-1 win over the Toronto Blue Jays on Sunday afternoon to take three of four in the series. The Yankees are now 11-9 on the season, and the surprising Toronto Blue Jays dropped to 13-8. 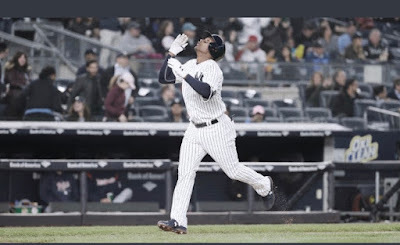 This was a historic day for the Yankees, as they fielded a lineup that consisted entirely of players under 30 years old for the first time since September 29, 1989 against the Detroit Tigers. Gleyber Torres in spring training. 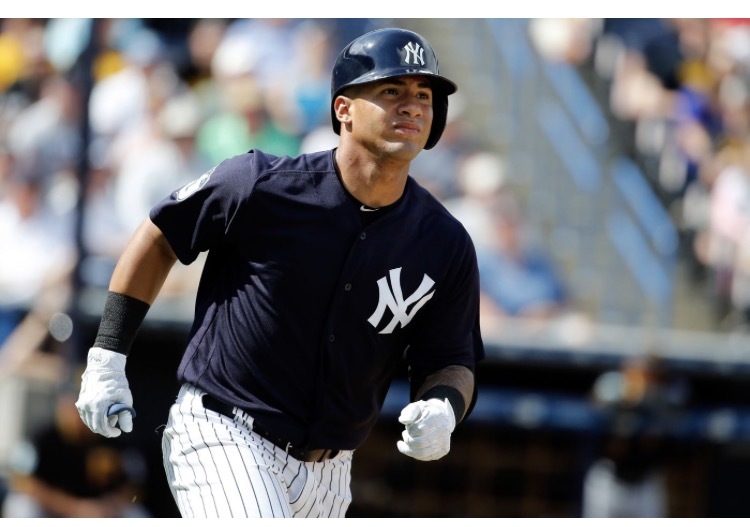 The Yankees made a long-awaited move official on Sunday morning, as they called up their top prospect, second baseman Gleyber Torres. 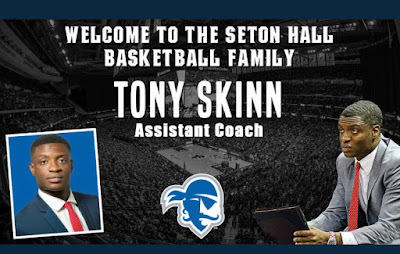 from Scranton-Wilkes Barre. The Yankees sent Tyler Wade down to get him everyday at-bats, as he was platooning at second base with Neil Walker, who also has split first base with Tyler Austin. Neither Wade (.086 batting average, no home runs, 4 RBI) or Walker ( .183, 0 HR, 3 RBI) have been hitting, while Torres has torn up Scranton, hitting a very impressive .347 (17-49), with a .393 on-base percentage, a home run and 11 RBI, five walks and just 10 strikeouts in 14 games. 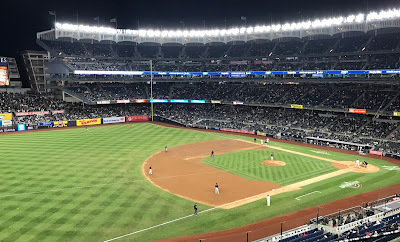 Yankee Stadium during a game this month. Photo by Jason Schott. Since the new Yankee Stadium opened in 2009, the Yankees have always taken ecologically intelligent measures to help promote a sustainable environment. The Yankees have been honored by the environmental industry for their commitment to keeping their ballpark "green." In 2015, the Yankees received the Environmental Leadership Award, which was presented by the Green Sports Alliance. The award recognizes a sports team and venue that best exemplifies the practices of promoting a sustainable environment. Green Sports Alliance Members represent nearly 300 sports teams from 20 different leagues and 14 countries around the around. Eli Wright, a former four-star prospect, will transfer to the St. John's Red Storm men’s basketball program from Mississippi State, as he has delivered a commitment to St. John’s Head Coach Chris Mullin. 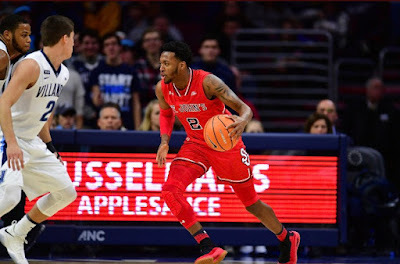 A 6-foot-4 guard, Wright appeared in 64 games over his two seasons with the Bulldogs. 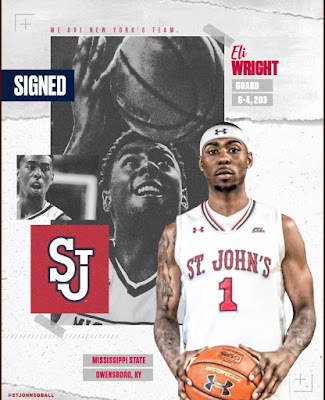 Wright must complete one full academic year of residency before competing for the Red Storm per NCAA transfer requirements. LJ Figueroa, a former top 100 recruit that recently completed a stellar freshman season at the junior college level, has signed a National Letter of Intent to join the Red Storm for the 2018-19 season. 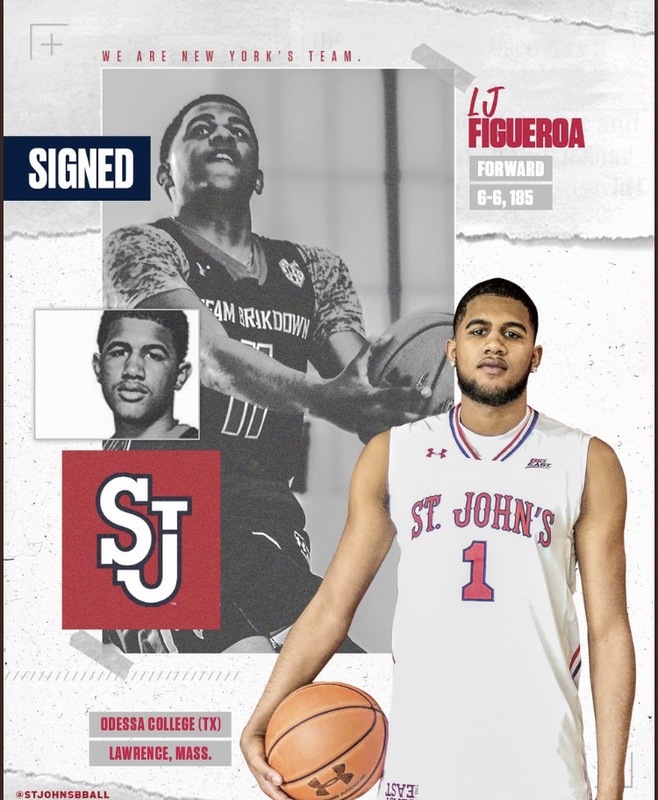 A consensus four-star recruit in the Class of 2017, the Lawrence, Mass., native played one season for Odessa College in Odessa, Texas, averaging 21.4 points per game and leading the Wranglers to a 28-5 record. The pregame ceremony with blue flags in honor of autism research. Photo by Jason Schott. The Red Bulls hosted Autism Awareness Day on Saturday when they took on the Chicago Fire at Red Bull Arena. 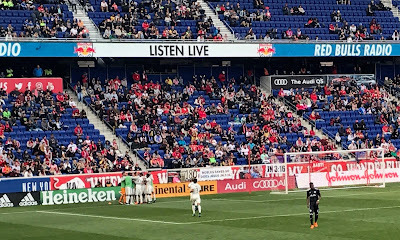 As part of the event, the Red Bulls welcomes families impacted by autism to Red Bull Arena and donate $3.00 of every ticket purchased to Autism Speaks. Chicago celebrates a late goal. Photo by Jason Schott. 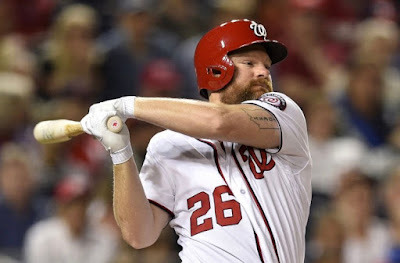 Adam Lind with Washington in 2017. Lind was signed by the Yankees as a minor league free agent on March 2 and released on March 14. In five spring games with the Yankees, he batted .200 (3-for-15) with 1 RBI and 1 walk. The Judge's Chambers in right field at Yankee Stadium. Photo by Jason Schott. Miami's Jarlin Garcia pitching to Aaron Judge of the Yankees. Photo by Jason Schott. 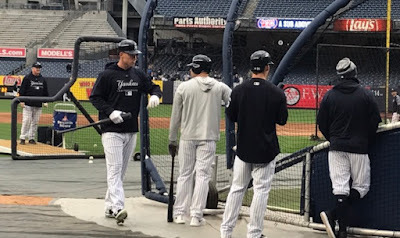 Aaron Judge (left) at the batting cage Tuesday. Photo by Jason Schott. Juventus currently leads Italy's Serie A and made it to the quarterfinals of the UEFA Champions League, where they were defeated by Real Madrid. 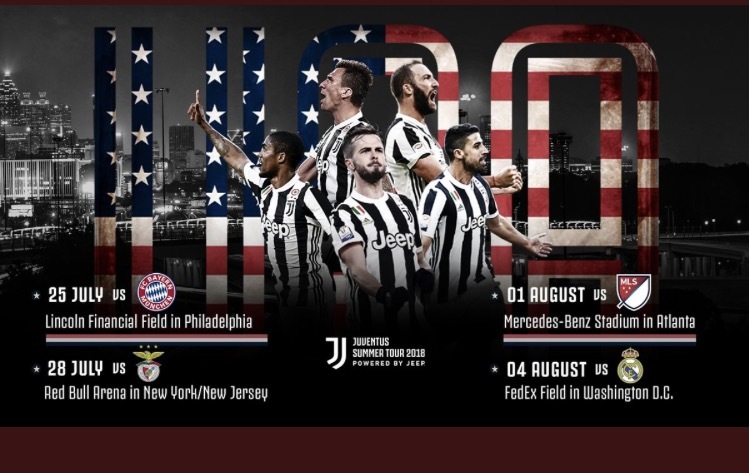 They lost to Real Madrid in the Champions League Final last year. 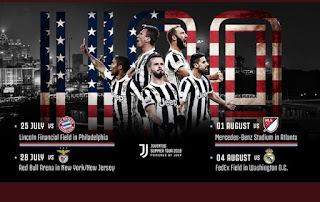 This is one of four games Juventus will play in the United States this summer, as they will take on Bayern Munich of Germany on July 25 at Lincoln Financial Field in Philadelphia, the MLS All-Stars on August 1 at Mercedes-Benz Stadium in Atlanta, and Real Madrid on August 4 at FedEx Field in Washington, D.C.
Tiger Woods on the 18th green at The Barclays in 2013. Photo by Jason Schott. Veteran journalists Jeff Benedict and Armen Keteyian examine Tiger in the first truly comprehensive biography of one of te greatest golfers ever in Tiger Woods. 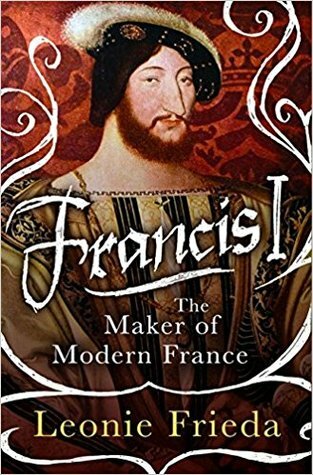 "Very few individuals are known throughout the world by one word," Benedict and Keteyian write. 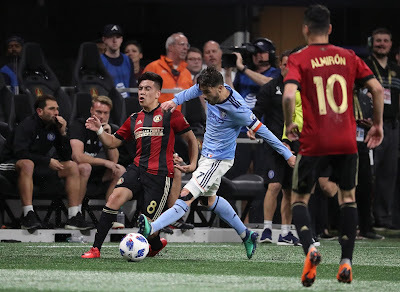 NYCFC's David Villa collides with Ezequiel Barco (8) late in the game on Sunday night. 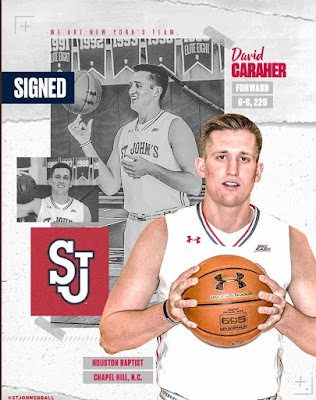 USA Today Sports. 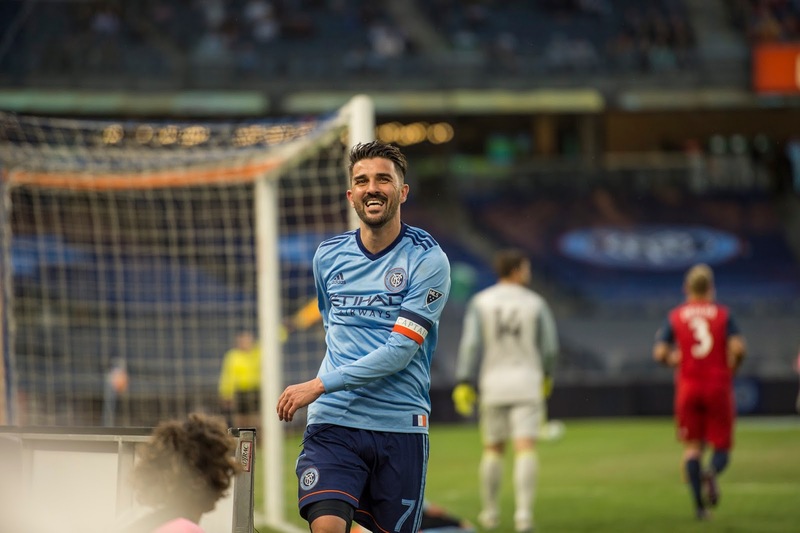 David Villa got a goal and an assist to get New York City Football Club a point on the road against Atlanta United FC in a 2-2 draw on Sunday night. NYCFC remains unbeaten on the season at 5-2-0, in first place in the Eastern Conference, four points ahead of Atlanta, who is 4-1-1-, 13 points. 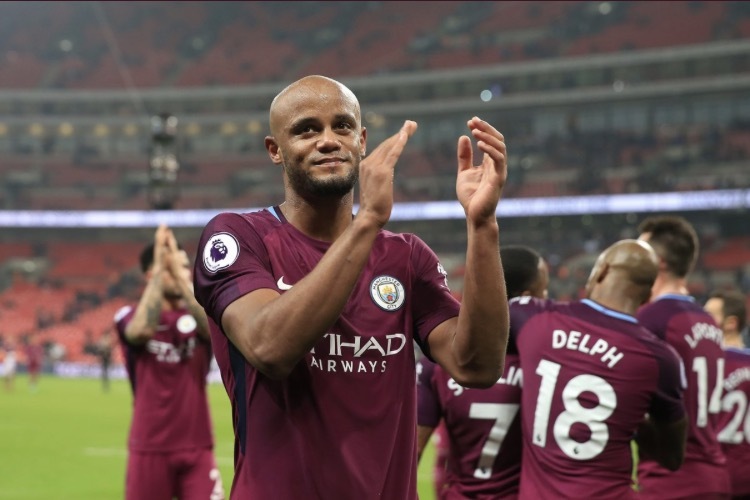 Manchester City Captain Vincent Kompany celebrates after their win Saturday night. @ManCity. 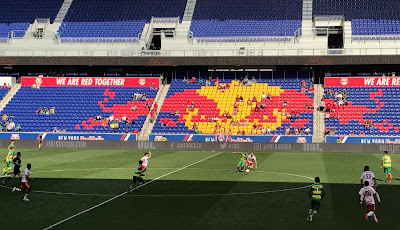 The Red Bulls and Rowdies in action. Photo by Jason Schott. 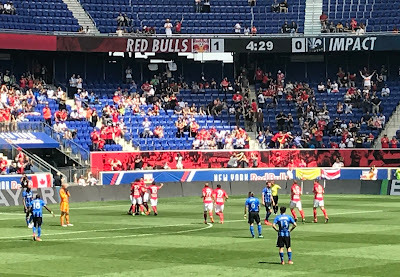 The Red Bulls celebrate an early goal. Photo by Jason Schott. 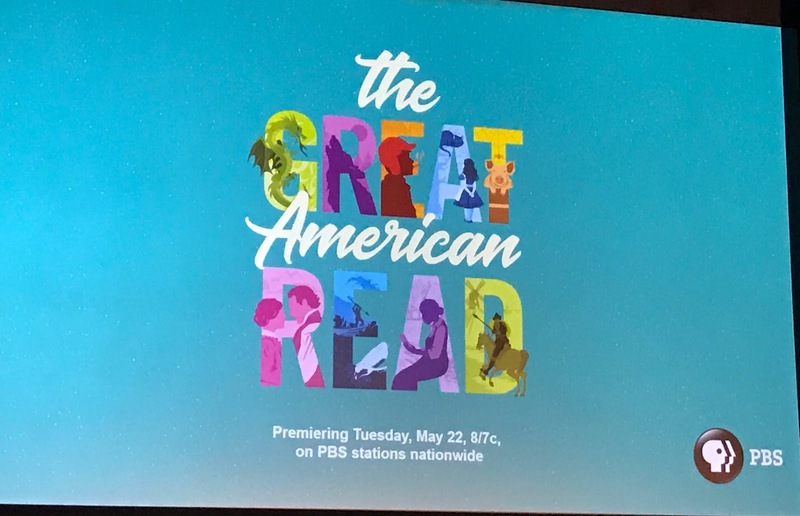 Lorie Langdon has won critical acclaim and created a legion of fans for her skill at telling compelling stories that come from her passion for the theatre, music, and classic literature. 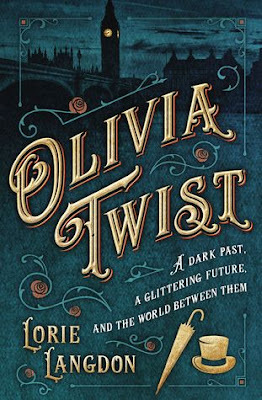 Langdon, known for being the co-author of the popular Doon series, books for young adults inspired by the musical Brigadoon, has now created Olivia Twist, a gender-swapping reimagining of the Charles Dickens classic Oliver Twist. Maxi Moralez scoring on Wednesday night. 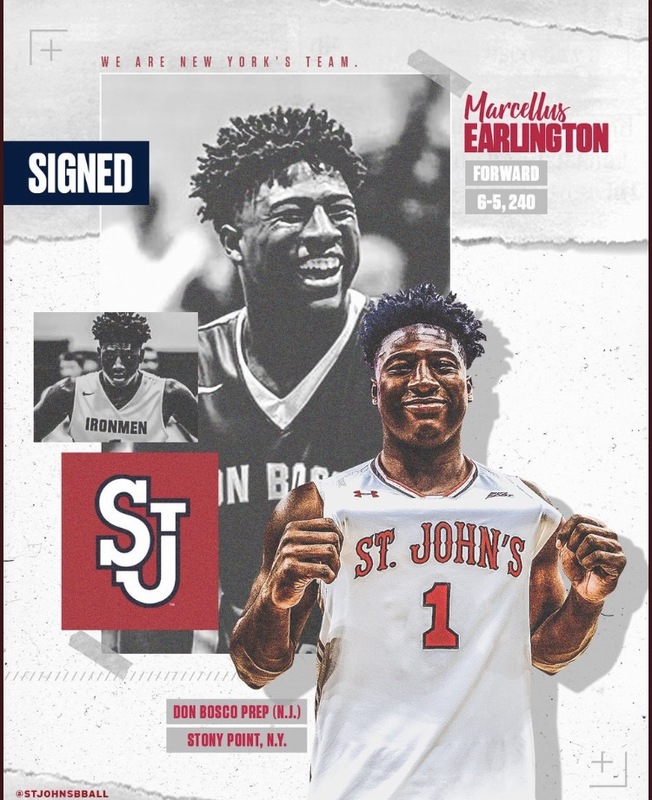 USA Today Sports. 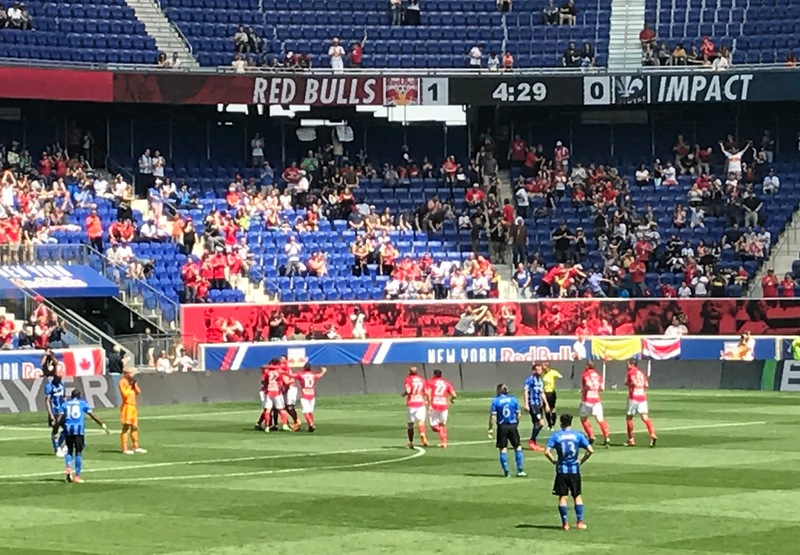 New York City Football Club rolled to a 4-0 win over Real Salt Lake on Wednesday night at Yankee Stadium. NYCFC kept their unbeaten streak to start the season, as they improved to 5-1-0, with 16 points, in first place in the Eastern Conference. 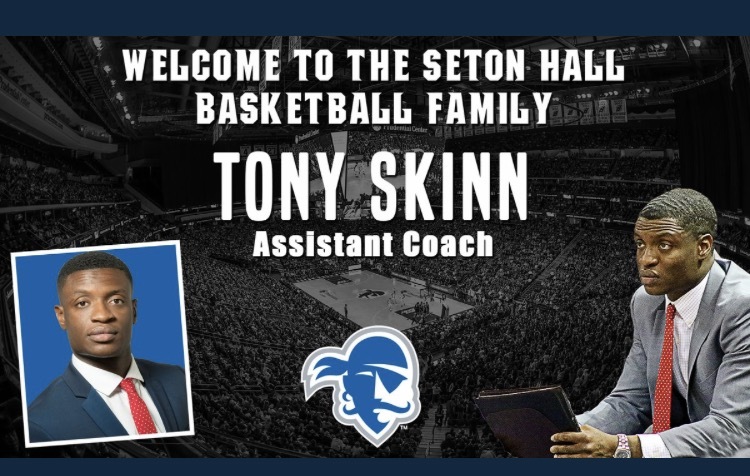 It only took them just 12 minutes to get on the board. 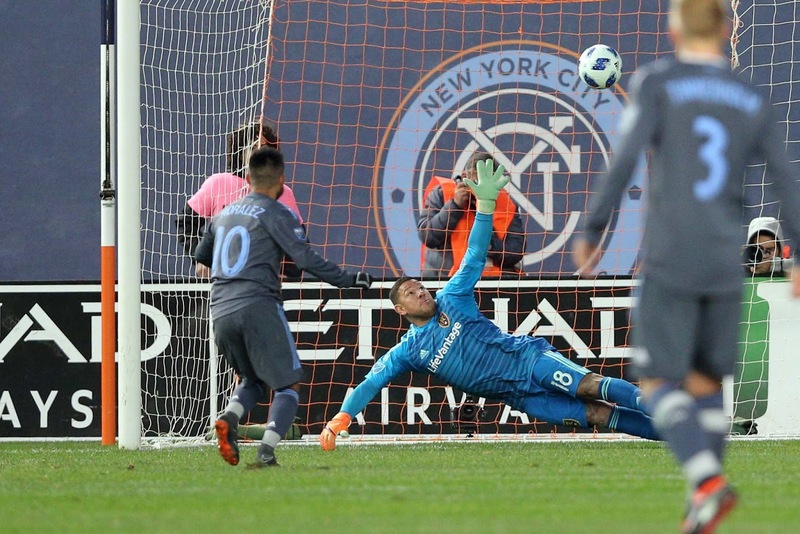 Ismael Tajouri was in the right place at the right time, as he intercepted a clearing pass from a Real Salt Lake defender at the top of the key, then fired it into the net to make it 1-0 NYCFC. It was his fourth goal of the season. Chivas celebrates after the final whistle. Photo by Jason Schott. The Red Bulls and Chivas de Guadalajara played to a scoreless draw on Tuesday night in the second leg of their CONCACAF Champions League Semfinal, and by virtue of their 1-0 win in the first leg last week, Chivas will be moving on to the Final. Incredibly, Chivas won this one with superb defense, as they did not give an inch. 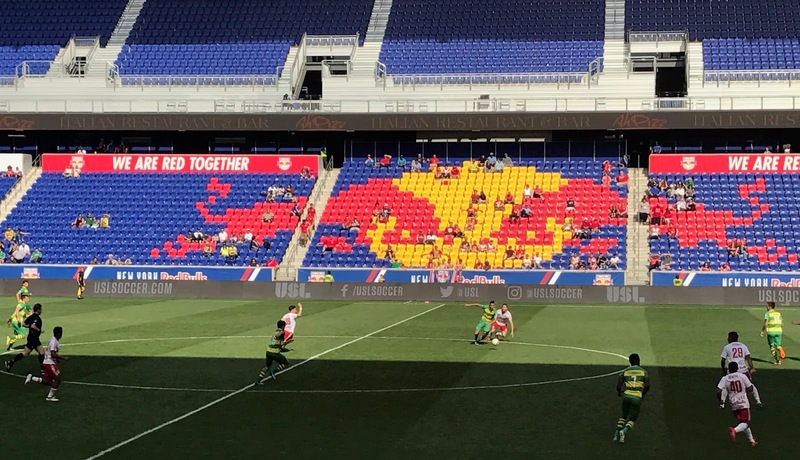 If it looked at times that the Red Bulls had an opening, there were as many as three defenders there to cover. 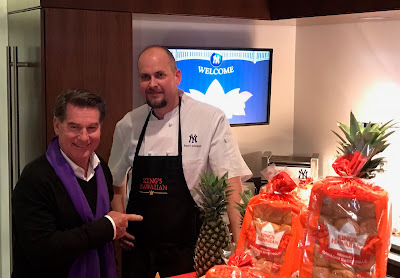 Steve Garvey with Matt Gibson, Legends Hospitality Senior Executive Chef, on Friday night. All photos by Jason Schott. Legendary Los Angeles Dodgers first baseman Steve Garvey was at Yankee Stadium on Friday night to introduce King's Hawaiian to the Bronx. Fans visiting Yankee Stadium this season will find the King’s Hawaiian Grill locations in Sections 115 and 334. 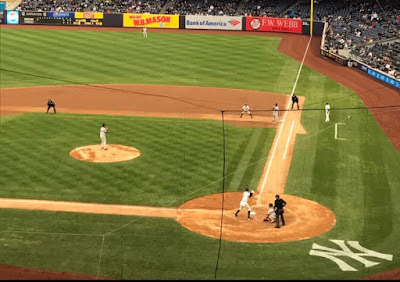 This is the latest exciting feature to debut at Yankee Stadium the past couple of seasons to enhance the fan experience. Dhonielle's thought-provoking fantasy, The Belles, debuted on the New York Times-bestseller list and has garnered an international fan base. 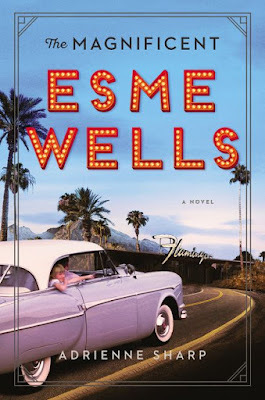 Books: Old-Time Vegas & Hollywood Glamour In "The Magnificent Esme Wells"
Sharp tells the story of a girl growing up in Las Vegas and Hollowood in the 1930s and '40s. Esme Wells is the daughter of a low-level gangster, Ike Silver, trying to make his way in Bugsy Siegel's organization, and her mother is Dina, a wannabe showgirl. This novel is a coming of age story with a tinge of noir and it evokes an era of culture rich with drama, and it is told through the beautiful, witty voice of the twenty-year old Esme. One example of how Sharp captures Esme's voice is when she writes about her father checking out a site in Las Vegas with Siegel: "They were all smiles, the two of them with their movie-star faces, dark hair combed back, dapper in their checked sports jackets. Jackets! Even as a child, I'd noticed that Mr. Siegel liked to surround himself with handsome, well-tailored men, the better to share his vision of a prosperous future. The war was over, he was telling my father, VJ Day an explosion of flags and confetti and bonfires and cars with the letters VJ painted on them cruising and honking their way down the Los Angeles streets, and now, according to Benny, every G.I. and his wife were going to be jumping into those cars looking for fun and adventure. And the town of Las Vegas was going to be that adventure, a glorious destination. Really. "Because, to me, Las Vegas felt like a punishment. The dusty superheated ground quickly burned through the soles of my espadrilles. How long could they talk and look at nothing? At one point, I tried to get back into the car, but that was worse. In half an hour, it had become a killing box. There was no shade. None. And we hadn't rented a hydrofan air conditioner to hang on the window of the car, either. We'd driven east with the top down. "My father's face turned death-ray red, but still the men walked and talked. I tried to get my father to look my way, but he wouldn't. He only had eyes for Mr. Siegel. Here be the pool - I wish! I'd jump right in! - the lobby, the restaurant, the casino where my father would soon manage the off-track betting. An upscale gambling palace, a miracle, certainly, for just when my father had come to understand that Los Angeles was never going to make him his fortune, another city appeared in the east, new mirage, all for him. "Mirage was right. You have to understand that back then, Los Angeles was everything. Vegas, in the early forties, was not much of anything. A small oasis, a railway depot, a little grid of streets by the tracks and then emptiness. Small town. Big desert. Big sky. Grit. Heat. Distant mountains. Stunted brown-needled cacti. Sagebrush. And Block 16, the red-light district that serviced the workers from the dam and the mines, with its gambling and its liquor and its girls, who sat on wooden chairs by the open doorways of their concrete-block shanties, waiting for consumers. "But in Ben Siegel's mind, this highway, Highway 91, sprouted one extravagant hotel after another, all of them in possession of casinos and restaurants and pools. And nightclubs, too, apparently, for after a while, Mr. Siegel called to me, waved me over from where I was pouting and flapping my hands at my hot face, saying, 'Esme, come here and have a look at where your stage will be.'" Esme Wells is brimming with historical detail. Sharp recreates the gaudy grandeur of Busby Berkeley sets, the death of Bugsy Siegel, and pre-war Hollywood political activism. Here is where Esme recounts her mother being on a Busby Berkeley film set: "Just so you know, my mother was a showgirl, too, though never here in Las Vegas. She started out as a Busby Berkeley girl, one of the first, a gorgeous thing with a headdress four feet tall, ostrich feathers dripping like waterfalls, and satin bows rippling on her elegant shoes as she walked the great soundstages of Warner Brothers and MGM. She was not quite sixteen years old when Buzz came out to Los Angeles, looking to scrounge up some dancing girls for his first Warner Brothers picture, Gold Diggers of 1933, which had been a big Ziegfeld hit on Broadway. At her audition, Buzz called her over, measuring her leg from knee to ankle, instructed her to twirl, and then hired her on the spot. That's all it took. "For the Shadow Waltz number in Gold Diggers she wore a platinum blonde wig, gold metallic shoes, and a two-layered chiffon skirt stretched over a hoop. In the black-and-white photograph I keep of her in my dressing room, she looks like a little doll, her skin manufactured partly of white wax, plenty of alabaster. All she had to do in that number was stand with a hundred other girls on a tall staircase that doubled back on itself like a looped ribbon and pretend to play a lit-up violin while the camera sailed by, forty feet in the air. No wonder her audition was so brief. "Shooting from above was Buzz's trademark; he had done a hundred numbers that was back at Warner Brothers, in picture after picture like Gold Diggers and 42nd Street and Footlight Parade, his girls rotating like flecks in a kaleidoscope, making geometric patterns of stars or layer cakes or blossoming flowers. That's all they did, but that wasn't all they wanted. 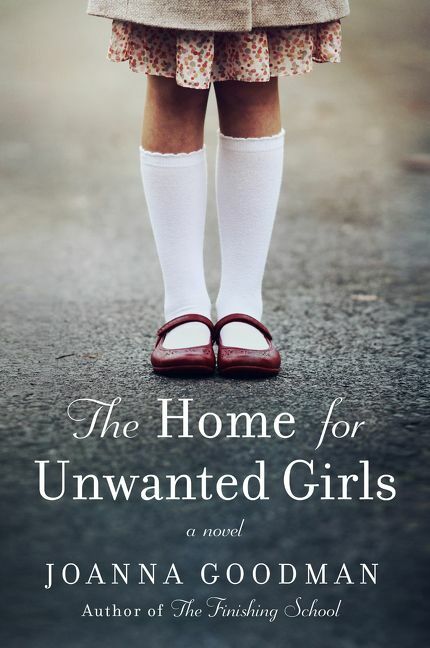 When the camera panned his girls' beautiful faces, they smiled, one by one, into the lens, dying to be noticed. My mother was fourth in line, always yearning to be the first. The only. The magnificent. Just like me." Esme Wells has great cinematic quality, with scenes on film sets and cameos from stars like Mickey Rooney, Judy Garland, Frank Sinatra, and Gene Kelly. Sharp writes of The Clover Club and its place in Vegas history, "Mickey Cohen and Ben Siegel were in the process of taking over the Clover Club, a nightclub up on what was then the somewhat desolate unincorporated Sunset Strip, which was soon to flower in a way my mother didn't love to see, but my father and I did. To come were Ciro's, the Trocadero, the Mocambo, the Chateau Marmont, Sunset Tower, the Players Club, the Garden of Allah, Club Gala, La Rue's. At this point, though, there was just the Clover Club. "The Clover was a deliciously beautiful place with red lacquered doors and white tablecloths, with secret panels, one-way mirrors, and a backroom illegal casino called the Bacon Club, where men with machine guns watched over the players and the money. The bacon. This was a club where photographers weren't allowed, where David O. Selznick and Budd Schulberg gambled each night, a club Cohen and Siegel were in the process of wrestling from its owners, whereby Mr. Siegel had charged Mickey with wrecking one by one all of their gambling operations. Just as later Benny would muscle Billy Wilkerson out of his interests in the Flamingo, so now Benny took over the Clover Club. And my mother got her gig." The juxtaposition of fictional characters with movie stars adds a layer of glamour that pulls the reader back in time to the golden age of Hollywood. The story moves between 1939 pre-World War II Hollywood and 1940s postwar Las Vegas, a time when Jewish gangsters and movie moguls were not dissimilar. Esme chronicles the rise and fall of her parents, who were masters at pulling off a good show or con, but whose delusions of grandeur lead them to being duped as well. When Ike is offered a job in Vegas, he takes it, eager for a big break. Esme joins as well and catches the attention of the powerful Nate Stein, and soon becomes the first burlesque dancer on the Las Vegas Strip. Esme Wells is really a story of America's promise and peril. 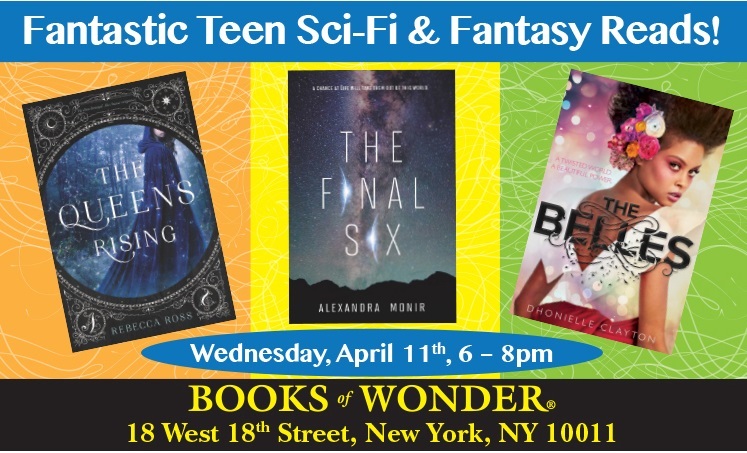 Dreams are what loom large over the entire novel as we see each character reach for the stars, only to fall back into an unforgiving world. The one exception is the wide-awake, preconciously worldly Esme, who definitely earns her "magnificent" title. Harper Executive Editor Sara Nelson says of this work, "I was familiar with Adrienne's work from my time editing O, the Oprah magazine, when I came upon The True Memoirs of Little K, a faux-memoir of a famous Ballets Russes dancer in love with the Tsar. 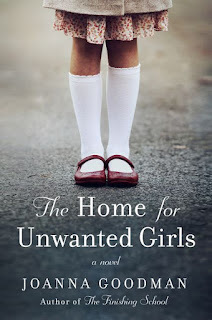 I loved that book within minutes - and fell in love with Esme in the same way. In my new role, I just had to publish it." For that, we should all be thankful, as The Magnificent Esme Wells might be the most entertaining novel. 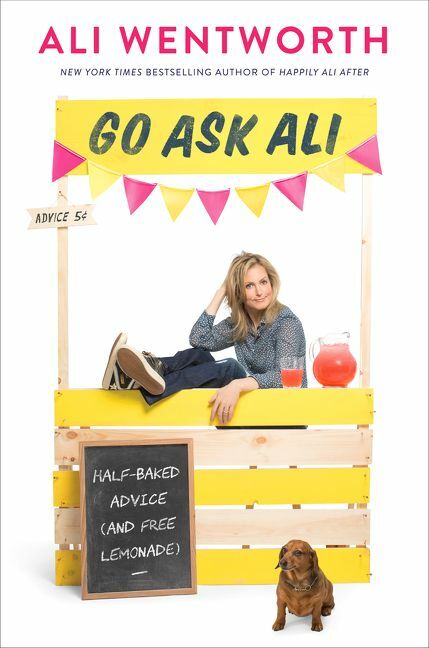 you read all year.